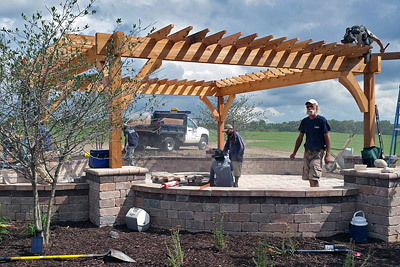 Bringing your landscape plan to life is what the construction process is all about. With direction from the same designer you developed your landscape plan with, our experienced crews will skillfully install your landscape. Every attention to quality and detail is exceeded by our award winning crews and designers. MJS values your input. It is our priority to maintain strong communication with you throughout the entire construction process. We want to make sure no matter the size of the project it goes smoothly, and that you will enjoy your landscape for many years to come!